Take energy efficiency resource standards (EERS) as one policy example. These set long-term energy savings targets for utilities to meet a portion of their energy resource needs with low-cost investments in efficiency programs for customers instead of supply. These programs can also support buildings’ electrification when in the public interest by, for example, installing heat pumps to replace oil or propane heat. Massachusetts’ new three-year energy efficiency targets provide an example. The new targets use multiple metrics to achieve multiple goals, including electricity savings, more-aggressive natural gas savings, and a multi-fuel target set in Btus. 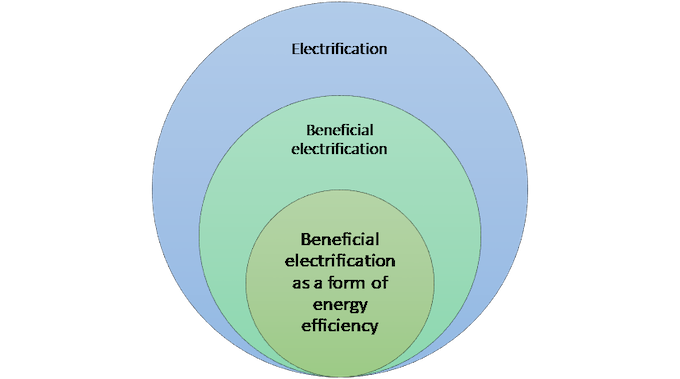 Efficiency policies such as those in Massachusetts can be a foundation to leverage beneficial electrification. But good analysis is needed to determine the balance of costs and benefits for different applications and to make sure that targets are aligned with potential savings. Do you have questions about electrification and energy efficiency that you’d like to see ACEEE explore? E-mail me!